Exceed Patient Expectations, Enjoy Dentistry More, and Take More Vacations! Sully meets up with Michael Arias and Joshua Scott to talk about dental marketing. Michael Arias is a dental marketer who focuses on ground marketing. This is literally hitting the ground and going to nearby businesses and building relationships. Michael shares why this method works and how to do it with an objective in mind. Joshua Scott is the owner of Studio 8E8 dental marketing. His approach is building a brand through story and having an interactive website that is an experience. We talk about the importance of building trust and educating a patient before they ever walk in the practice door. We also talk about the ever changing world of digital and dental marketing and how generational differences play a role. [01:12] Michael Arias is the developer and founder of Ground Marketing which is an unconventional way of attracting the attention of potential customers or patients. [01:38] Joshua Scott is the owner of the Studio 8E8 dental marketing company. [01:50] Scott and Michael are good friends. [02:30] How marketing is shifting towards storytelling and finding ways for people to relate to you. [03:16] Michael used to be a nutritionist, and he had a client who was a dental consultant. [03:40] In the past, Michael helped My Fit Foods build up their client base. The methods that he would use was ground marketing. [03:58] His dental consultant friend offered him $1,000 if he could find him to 2-5 new patients. He decided to refine a strategy for dental marketing. [05:03] You have to go in and ask for business cards for the dentist down the street. You also offer them cards and an employee sign up sheet. [06:13] Joshua calls what Michael does hustle marketing. Marketing needs energy behind it. You have to put energy behind it to put things in motion. [09:12] Why spend thousands on SEO instead of going next door and talking to people? [10:20] If a dentist doesn’t want to do it, they need someone on their team to do the ground marketing. If you go in, come out with a result. [12:43] Every YMCA has a health fair. Call to speak to the director or receptionist. Have someone go in and set up a booth and give out floss. Know how to talk to people on the spot. [14:54] Dentistry is human service. We need to keep the human part in dentistry. [15:27] Joshua’s approach is allowing clients to tell their story in a way that is exclusive to them. [15:41] For Joshua, dentistry is an inspiring, innovative, beautiful type of business. It’s his job to make the websites reflect this. [16:36] The website needs to be an experience and help dentists tell their story in a way that connects. [17:35] How a website is an opportunity to tell ourselves before a patient or customer even walks in the door. [18:37] We should track patients we get to our website. [19:12] Just looking at the new patient metric can be a short-sighted method. [20:09] Before making a purchase, people need eight or nine touches before buying. [20:47] Patients are ready to buy when they come in because of all the previous touches. [21:21] Sully is into video and telling his story. [24:48] Why let other people control your practice and deal with patients who make you miserable? [26:38] When building a business you’re trading time for money. [27:04] There comes a point when the trade-off of time becomes more important. [28:24] The more you say no to stuff, the more time you have to say yes to the important stuff. [29:56] At some point, your practice needs to be about you being happy. [30:39] It’s important to step back and ask what do you want and what are your goals instead of blindly following what everyone else does. [31:29] We need less new patients than you think. We need to actually do the dentistry that the patients need. [32:44] Building a business is a long-term process. Keeping your patients long-term will give you all the work that you need. [34:05] Sully’s Dad was way more willing to listen to new ideas than many established dentists. By being open-minded, they are unstoppable. [35:35] The key is getting small victories with the established doctor. [38:48] Companies that can adapt and shift are always more profitable. As always thanks so much for listening! If you like the show we would love for you to review the show on iTunes as well as spread the word! 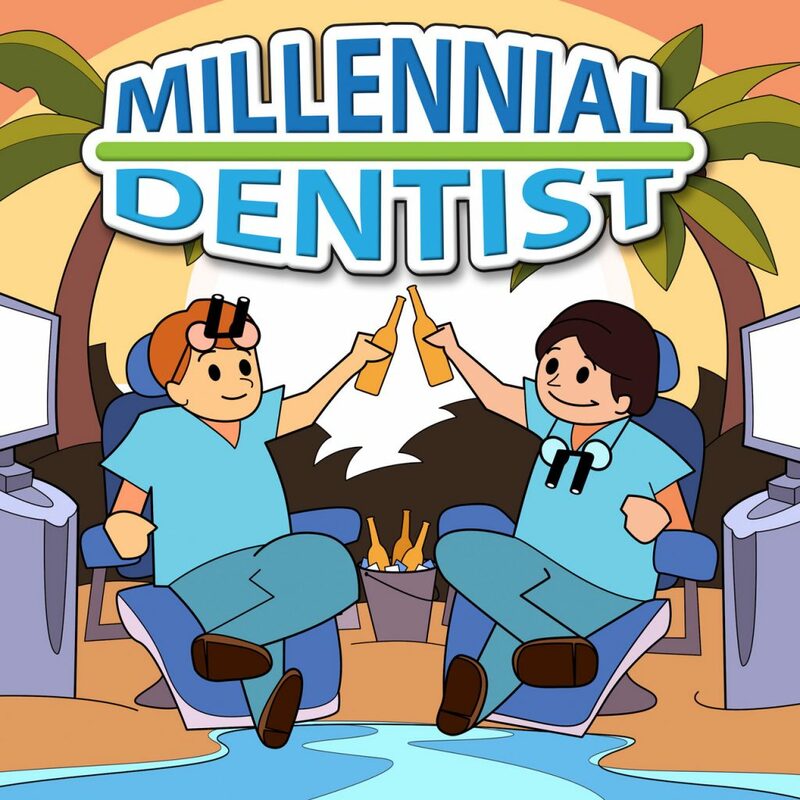 If you have any questions or want to get in touch, shoot me an email at millennialdentist@gmail.com.